The functional analysis (FA) methodology was developed to provide an empirical basis for understanding the reinforcers contributing to the maintenance of problem behavior. Previous research has demonstrated that multiple formats have been established to address some areas, such as practicality, efficiency, and safety. We reviewed the research on a new replication and extension of the standard FA format, the interview-informed synthesized contingency analysis (IISCA) and its subsequent treatment. We discuss the efficiency and effectiveness of the IISCA across various populations, settings, topographies of problem behaviors, and maintaining functions across 17 studies. Common treatment trends, novel developments, and other critical intervention components are also reviewed. We provide suggestions for future directions and guidelines for practitioners when considering the use of the IISCA. The authors would like to thank Mary Jane Weiss and Sarah Frampton for their critical feedback and insight on previous versions of this manuscript. This manuscript has not been previously published and has not been or will not be submitted elsewhere during the review process. *References marked with an asterisk indicate studies included in the review. Jessel, J., Metras, R., Hanley, G. P., Jessel, C., & Ingvarsson, E. T. (2019). Evaluating the boundaries of analytic efficiency and control: A consecutive controlled case series of 26 functional analyses. 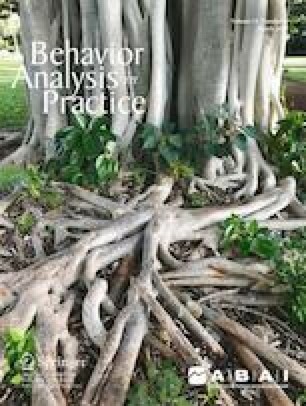 Journal of Applied Behavior Analysis. Advanced online publication. https://doi.org/10.1002/jaba.544. Rose, J. C., & Beaulieu, L. (2019). Assessing the generality and durability of interview-informed functional analyses and treatment. Journal of Applied Behavior Analysis, 52, 271-285. https://doi.org/10.1002/jaba.504.